Some of the biggest golf clubs in Europe have carried out extensive refurbishments of their clubhouses in the last 12 months. Here, we explore why design trends are changing the way clubhouses will look for many years to come. There has been a number of major clubhouse refurbishment projects taking place in 2018. As well as the £13 million refurbishment project at Wentworth that The Golf Business has reported on, Carnoustie Golf Links opened its state-of-the-art new clubhouse in time for this year’s Open Championship. 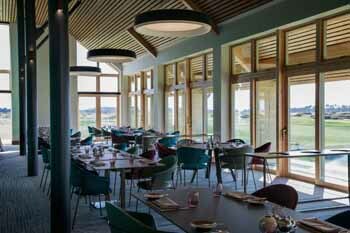 The new Links House building includes a golf practice and training facility, a new pro shop and a standalone gastronomic venue with views over the golf course and Carnoustie Bay. Situated next to the first tee, the new facility also uniquely features seven high-tech simulators with the choice of 14 different courses to play – including Carnoustie itself. Furthermore, Links House boasts brand new changing rooms and a ‘Heritage Area’ that provides information on the rich history of Carnoustie Golf Links. Commenting on the stunning new clubhouse, Carnoustie Golf Links chief executive, Michael Wells, said: “The new building offers first class facilities where our local community and visitors from all over the world can enjoy refreshment and relaxation in the beautiful setting of Carnoustie, with spectacular vistas across the links and the sea. 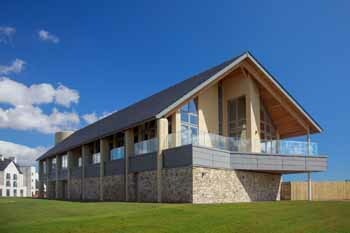 Brean Golf Club in Somerset has unveiled a new £4 million clubhouse which will officially open this autumn. It features two function rooms, one on the ground floor and the other on the first floor, both with external wraparound balconies and a coffee lounge, new changing and shower rooms, a kitchen and a new pro shop. Cowdray Golf Club in Sussex has also opened its clubhouse bar following an extensive refurbishment. The clubhouse now offers a dedicated dining area, a casual seating area and a designated soft seating area primarily for members. A new cabinet installed also enables all the club’s trophies to be on display together for the first time. 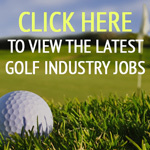 Director of golf Tim Allen Allen said: “We are delighted with the improvements at Cowdray Golf. We hope that everyone – members, visitors and families – will come and enjoy these smart new surroundings and enjoy a drink or have something to eat. Ringway Golf Club in Manchester has undergone a six figure refurbishment of its clubhouse, which now boasts a new luxury bar and restaurant. Judith Wainwright, Ringway president, said: “We are delighted to launch our fantastic new bar, lounge and restaurant. The new facilities have a capacity to hold 150 guests and are available to hire for any function. Expansion plans at Longridge Golf Club in Lancashire have been completed so that it can welcome further commercial and business opportunities to the town. New facilities include a conference room and new male and female changing rooms. Roger Stamp from the club said: “Doubling the size of the previous room, this provides an excellent intimate venue for meetings, seminars and presentations for up to 25 persons. An interactive whiteboard has been installed while flexible modular tables offer a variety of room layouts. 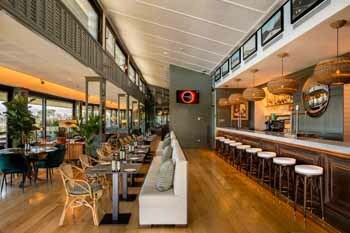 And the transformation of PGA Catalunya Resort in Spain’s clubhouse is a bold move away from traditional golf course clubhouses. Expansive glass walls, well-placed mirrors and the bright foliage of a legion of indoor plants create a light-drenched space that opens out onto the stunning Stadium Course. Wooden tones blend with sage green upholstery and tan leather to create a warm, natural atmosphere which contrasts with the clean lines of marble, metallic, and charcoal-grey surfaces. Makes as much sense for the majority of golf clubs as examaning car trends and reviewing the https://www.sytner.co.uk/lamborghini/new-cars/veneno-roadster/ Lamborghini Veneno Roadster. Still I guess it makes an article.